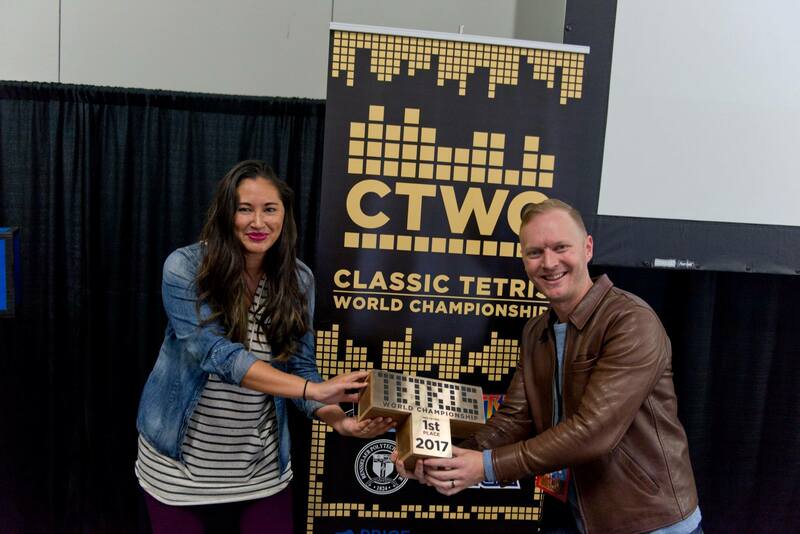 The Classic Tetris World Championship (CTWC) takes place every year at the Portland Retro Gaming Expo. There, players converge from all over the globe to showcase their NES Tetris skills. While the competition is certainly fierce, one Tetris player has managed to walk away with more 1st place victories than anyone else… Jonas Neubauer. Given his storied history as a CTWC champ, many were curious to see whether or not Jonas could once again walk away with a 1st place win at the 2017 CTWC. As the 32-player bracket whittled down, Jonas earned himself a spot in the finals. During this year’s finals, Jonas battled it out against fellow CTWC champion, Alex Kerr. The match was intense, amping up until the final moment when Jonas Neubauer was once again crowned CTWC champion. So, what was the experience like for him and what has he been doing since his big win? We decided to reach out to Jonas and find out! 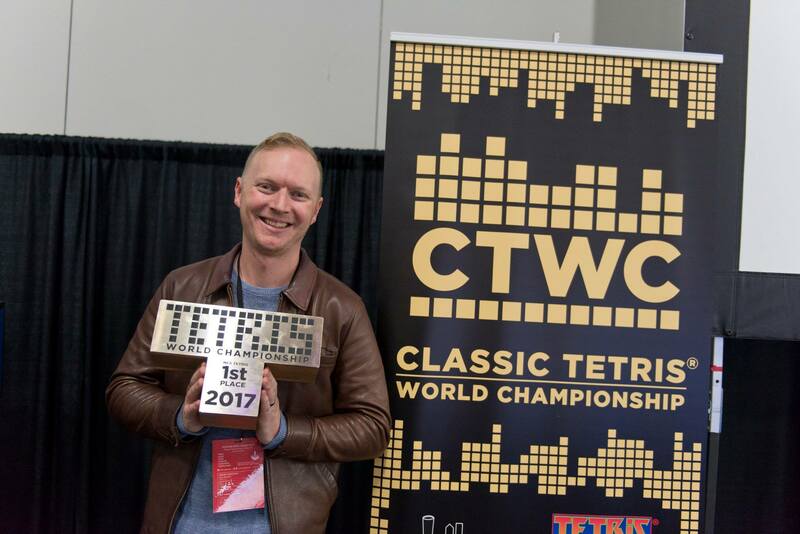 Q: What was your mood like heading into the 2017 Classic Tetris World Championship (CTWC)? Were you nervous? A: I knew how good the field was and lowered my expectations accordingly. I just wanted to put on a good show and represent the Classic Tetris community well. 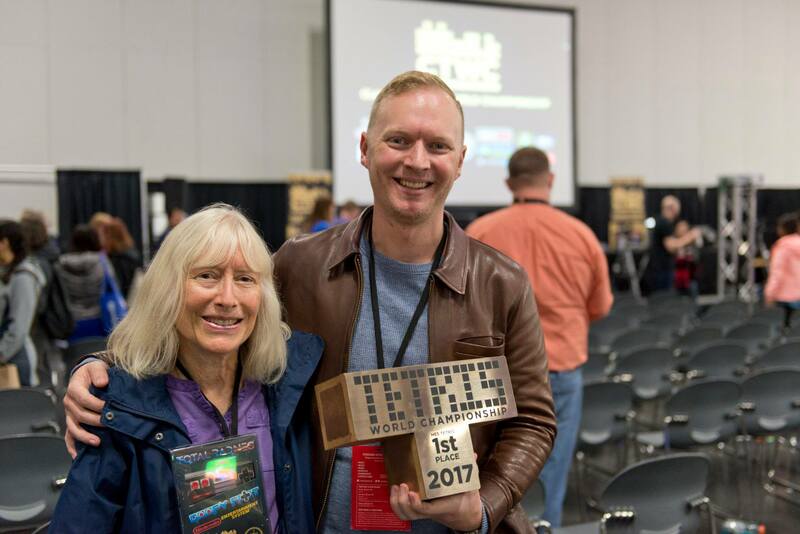 Q: When you’re not scoring big at NES Tetris you work as a Taproom Manager for Strand Brewing Co. Do any of your coworkers know about your many CTWC victories, and what do they think about the event? A: My coworkers are very supportive about the whole thing and let me ham it up behind the bar. It's a fun thing to talk about in social situations and the taproom is no different. I appreciate their ability to roll with it. Q: Because you’ve won so many times, do people come up to you seeking advice and pointers during the CTWC? A: I've had competitors come up and tell me they've stolen all of my moves before, haha. It's important to me that the community continues to improve and impress and I have opened my playbook through Twitch and Youtube to encourage that. Q: Were you able to spectate any of the matches this year? If so, which one was the most intense match to watch? A: I was able to catch the end of Buco versus Harry and that was a very dramatic battle. Next year I will have even more of those intense match-ups. Q: You fought against Alex Kerr in the Finals, and there were a few moments where things got extremely heated. What was going through your head during these moments? A: I don't really remember the final games because as the competition gets more and more difficult, I get tunnel vision. All I remember is being incredibly relieved shortly after. I still can't watch the replays without a certain level of anxiety. Q: Did you get the chance to talk to Alex after the match? Is he looking forward to challenging you next year? A: Had a chance to speak with Alex and his girlfriend Lann at the Tetris afterparty. Alex is such a great contributor to the CTWC community as well as TGM, and we mostly discussed my intention of getting a TGM2 board to branch out into hard drop Tetris. Q: How did you celebrate your 2017 CTWC victory? A: We celebrated by having Brazilian BBQ with my friends who had traveled to attend the tournament, then beers at Adam Cornelius' workspace with most of the participants of the CTWC (absolutely the best thing ever), then after-afterparty karaoke with Quaid and co. (the dude drops a mean Dr. Dre), and finally re-watching the matches with the wife in the hotel room at 4 AM. Great times. Q: You’re a regular at the CTWC, having been a part of it since its inception. How has the competition grown over the years? Has anything remained the same since it first started? A: I still get just as nervous as the first year. The community is growing in terms of both competitors and fanbase, but it is just as warm and wonderful as it has always been. I sat next to a couple that saw the 2016 tourney on Youtube and came out specifically to watch the tournament. That is just a wonderful thing. Q: You live stream your NES Tetris practice and even have a level 19 tutorial video on Twitch. Will you be live streaming more in the future, and if so, what can viewers expect? 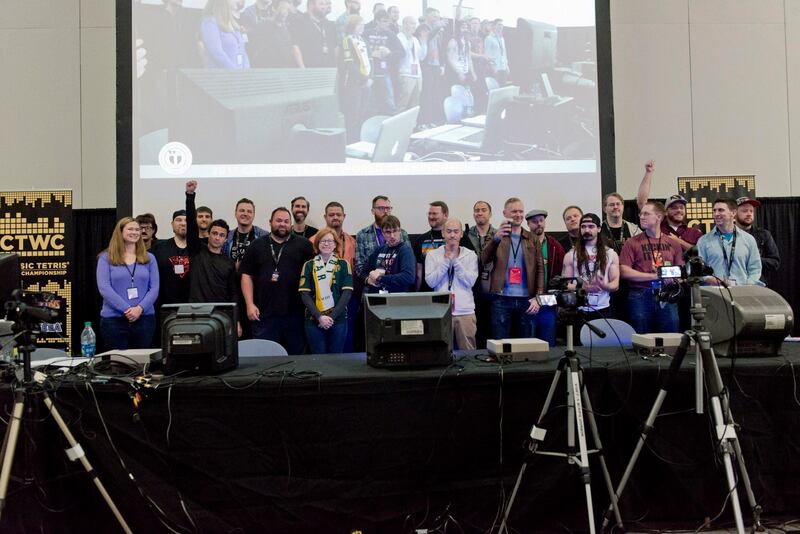 A: I love the intimate, interactive nature of Twitch and will always focus on building that community. If a viewer has a casual interest in the CTWC, YouTube will give them a nice experience, but many viewers want to go further down the rabbit hole. Hopefully my Twitch channel can scratch that itch. Q: Finally, what advice would you give to Tetris players looking to compete in the CTWC next year? A: My advice would be to train, build out your left, play a lot of 19, and come by twitch.tv/nubbinsgoody if you have any questions or want to steal my strats, haha. There's a plethora of matches online and now you can literally have NES lessons on Twitch. If anyone wants to come out and compete next year, I sincerely hope they come and show us what they have. And even if you don't qualify, the wife and I will buy you a drink! 2018 will be a blast. We want to thank Jonas for taking the time to speak with us about his experiences at the CTWC. To learn from the pro himself, be sure to check out his videos on Twitch and YouTube! Looking to challenge Jonas during next year’s CTWC? Read through our article on all of the steps needed to compete in the CTWC. For more information, head over to the CTWC website, like the CTWC on Facebook, follow the CTWC on Twitter, and watch this year’s exciting video recaps over on the CTWC's YouTube Channel. Itching to get a little practice in right now? Click here to play Tetris for free right here at Tetris.com!